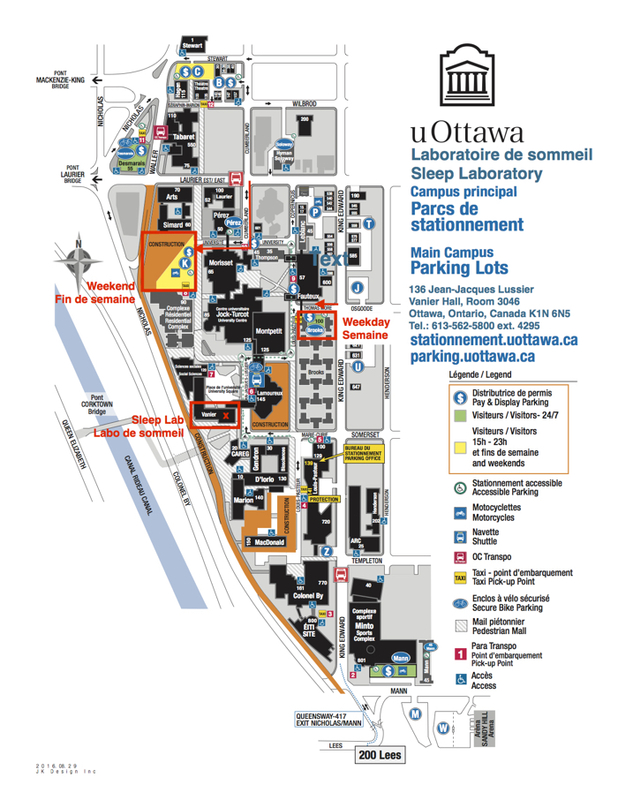 The University of Ottawa Sleep Research Laboratory is located on the University of Ottawa main campus on the 3rd floor of Vanier Hall, Room 3046, 136 Jean-Jacques Lussier. The easiest way to get directions to the sleep laboratory is by using Google Maps Directions by entering your start location. There is limited parking on campus, indicated on the parking map which can be downloaded and printed.